Video is one of the most common content types on the internet. Everyday, you consume videos on video sharing sites like YouTube and Vimoe, even Instagram and Facebook. Not to mention movie streaming services like Netflix and Hulu. For a certain reason, you sometimes want to enjoy videos from those services offline. For instance, you might want to keep be able to watch your favorite videos from those services while traveling on a remote area with no internet access. Whatever your reason, iTube Studio makes it possible for you to download videos from the services mentioned above for offline watching. iTube Studio is pretty cool when it comes to downloading video as it supports a wide range of video sharing services. You can use this tool to download video from websites like YouTube, Vimeo and Dailymotion. 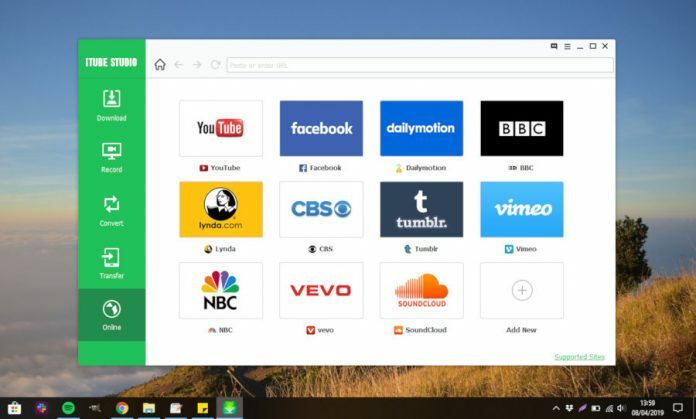 This tool also comes with a recorder feature which you can use to record videos from movie streaming services like Netflix and Hulu. What is iTube Studio actually? As briefly mentioned above, iTube Studio is a tool that allows you to download videos from video sharing sites like YouTube, Dailymotion and Vimeo. That’s all? Of course not. You can also use iTube Studio to download videos from other services like Facebook, Instagram, TED Talks and so on. 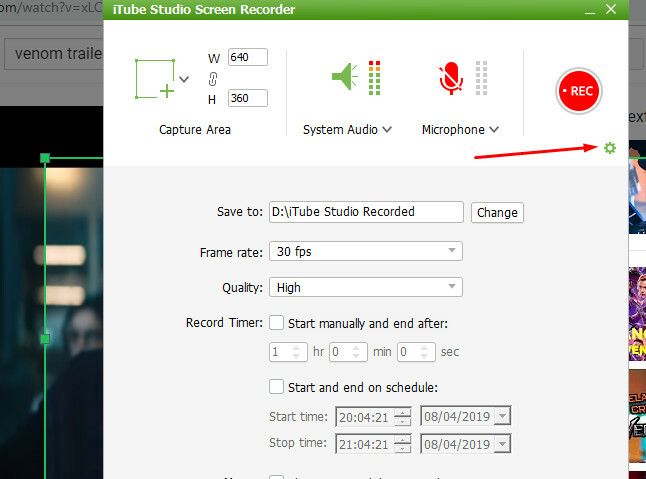 If, for a technical reason, you can’t download the video you want, iTube Sudio also offers a recorder feature which you can use to record a video from any service to bring it offline. 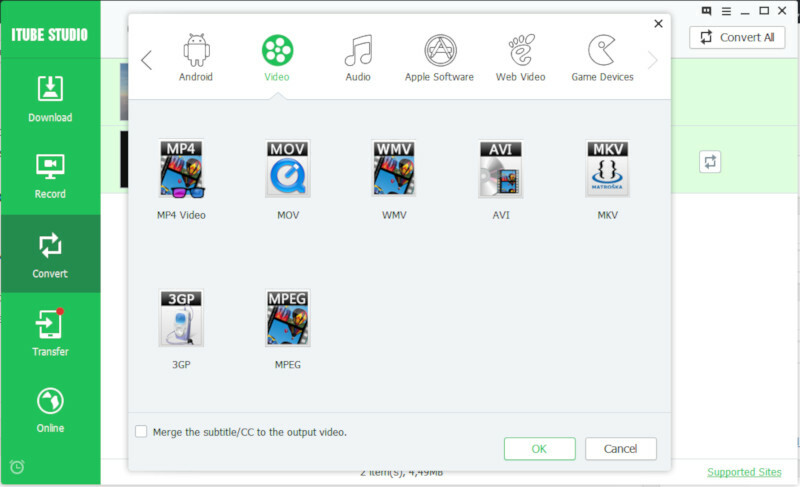 So basically, you can use iTube Studio to download video from nearly all video services. While you can use iTube Studio for an entertainment need, iTube Studio can also be a great tool to work. For instance, you can make use of the recorder feature on this tool to create a tutorial video. iTube Studio itself is available for Windows and Mac so you can download video from websites using Mac or Windows. iTube Studio is not a merely video downloader tool. As mentioned, it also has a recorder feature to allow you record videos from any website that provides video. In addition to those two main features, iTube Studio also has a converter and file transfer features. The converter feature of iTube Studio allows you to convert a video format to another format. iTube Studio itself also comes with a built-in video player, allowing you to directly preview a downloaded video to check if it it’s corrupted or not. To preview a video, you can simply click thumbnail of the video you want to preview. The transfer feature of iTube Studio is extremely easy to use, no complex setting is requried. iTube Studio will automatically detect your device as you connect it. Devices that are supported by iTube Studio are iPhone and Android. iTube Studio supports old devices. You can even transfer files to Android 2.2-based devices. You can simply click the Add to Transfer List button on video you want to transfer to add it to the Transfer List. To start transferring, you can go to the Transfer menu by clicking the Transfer button on the right panel. You can either transfer the individual videos or all videos at once by clicking the Transfer All button. Furthermore, iTube Studio also offers a Private Mode feature to protect your privacy. By using this feature, the videos you downloaded will be stored to a password-protected folder so no one will be able to view them. Downloading a video with iTube Studio is extremely easy, no technical knowledge is required at all. All you need to do is paste the URL of the video you want to download. iTube Studio itself allows you to download several photos at once. To download a video, visit the video you want to download and copy its URL. On the iTube Studio window, go to the Download menu and click the Paste URL button. iTube Studio will analyze the photo as you click the button. Once the analyzing process is done, you will be presented some resolution options of the video you want to download. If you want, you can also download the video in an audio format (MP3). Simply select the resolution you want and click the Download button to start downloading. If, for a certain reason, iTube Studio can’t download the video you want, it will suggest you to record the video instead. If you want to download several videos at once, you click the tiny arrow button on the Paste URL button and select Multiple URLs. 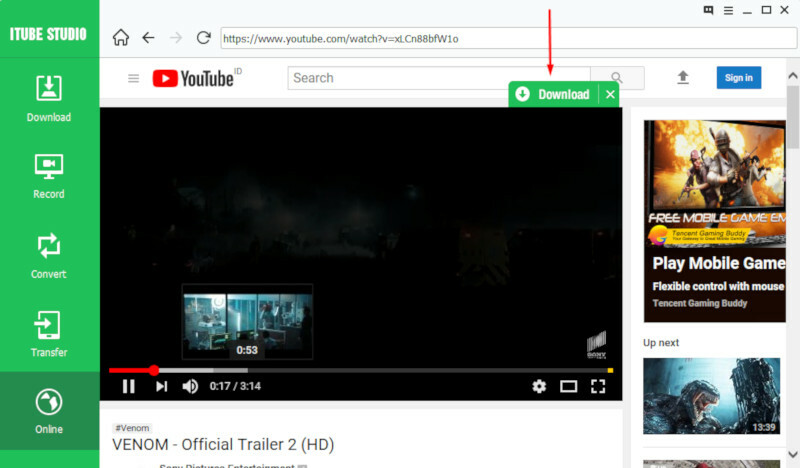 Paste the URLs of the videos you want to download (per line) and click the Download button to download them. In addition to the method above, you can also directly download a video from the iTube Studio window. To do so, you can go to the Online menu. Here, you will find several popular video sharing platforms, including YouTube and Vimeo. Every video you play on this window contains a Download button. Simply click this button to download the video. You can find the downloaded videos on the D:\iTube Studio Downloaded folder (Windows). You can change the download location from the Preferences menu. To open the Preferences menu, you can click the three-line icon the top bar (next to window controller on the top-right corner). To record a video using iTube Studio, you can click the Record button on the left panel, followed by clicking Record button on the top bar. An area selector will appear as you click the Record button. You can set the area as well as the resolution by dragging the selector. To start recording, you can simply click the REC button. But first, you can set the fps as well as the video quality by clicking the gear icon. There are also options to mute the system audio (click the speaker icon mute the system audio) and enable/disable the mouse click. By default, all recorded videos will be saved to the D:\iTube Studio Recorded folder. Again, you can change this location from the Preference menu. To make it easy for you to download videos, iTube Studio also offers browser extensions for Google Chrome, Firefox and Internet Explorer. You can install these extensions via the Preferences menu under the Extensions tab. If you are looking for a tool to download video from video sharing platforms like YouTube and Vimeo, iTube Studio is the first tool you can try. In addition, you can also use this tool to download video from Facebook, Instagram, TED Talks, Dailymotion and so on. iTube Studio comes with a recorder feature. 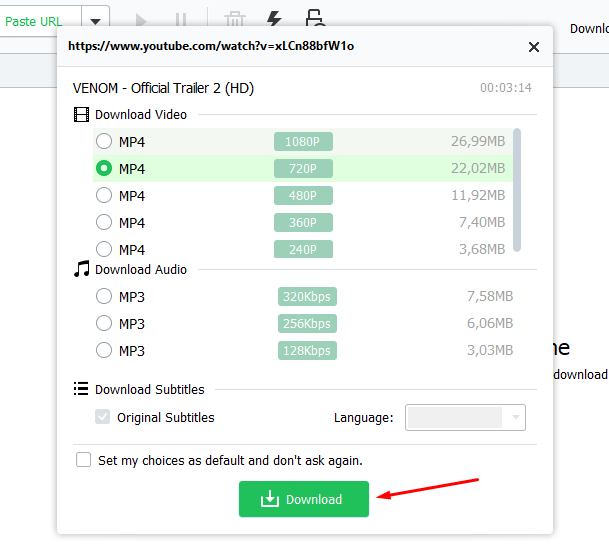 If it’s impossible to download a video from the site you want to download the video from, you can use this feature to bring the video to your computer for offline viewing. Other main feature offered by this tool is a converter which you can use to convert a video or audio format to another format. iTube Studio itself is paid tool, but you can try it for free.